When I try to eat well, some healthy, protein-packed snacks are imperative. When I sit down to have a snack, my initial reaction is to reach for the potato chips or brownies. Why? Because they are delicious. Most people go for what they want, not what is best for them. So how do we train ourselves so that what we want is also what is best for us? Personally, I think the best way to do this is to experiment. If you've rarely tried healthy foods, you aren't going to know what you like. Try something new until you find what you like. Don't force yourself to eat "the most healthy" thing. You don't have to be eating a super-food to be healthy. If you hate kale and acacia berries, then don't eat them. Find something that you do like, and stick with it. Personally, I love lightly salted (or not salted) nuts. My favorites are cashews, sunflower seeds, and honey roasted peanuts. However, I try not to buy honey roasted peanuts because there is more sugar. Recently, I discovered an absolutely perfect snack. It consists of pumpkin seeds, cashews, honey roasted sunflower seeds (I caved), a serving of sharp cheddar cheese, a half serving of baby carrots, and a serving of dried mango. Now, this is a huge snack, but it is healthy (filled with protein, good fats, calcium, and vitamins) and it will keep you full. This would be a great post-workout snack, or even a good breakfast. There was something about this combination that really hit the spot. The thing is, you don't have to do exactly what I did. You need to find what you like, because if you don't, you will never stick to eating healthy. If you just force down what someone tells you is best, you will not last long. 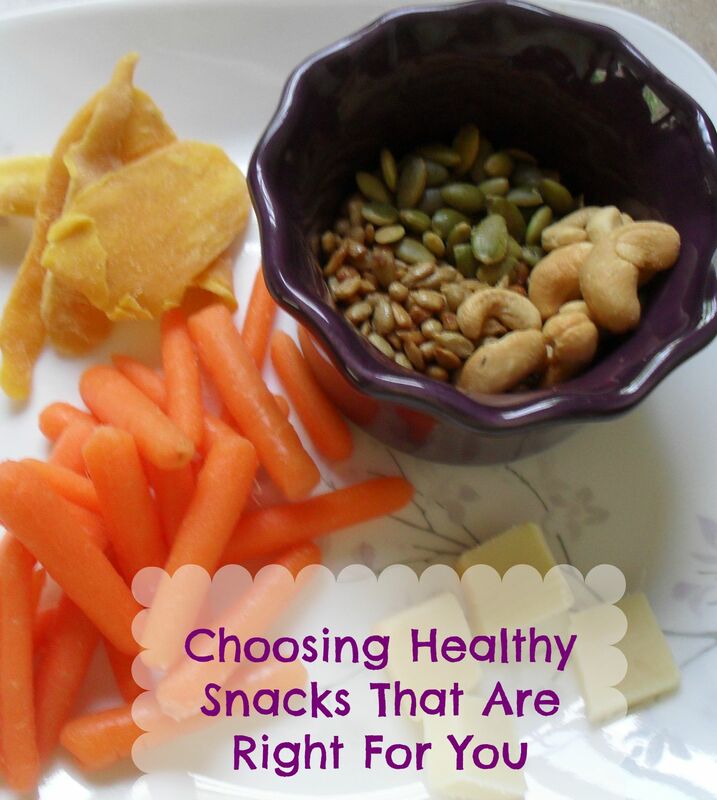 There are thousands of healthy options out there, and you are bound to like some of them! On your next grocery trip, explore somewhere like Whole Foods, Earth Fare, or better yet, your local farmer's market. If none of those are an option, I actually think that Food Lion has some great options. All the nuts, seeds and cheese pictured above are from Food Lion, and they also have good produce. I find that it's super important to keep healthy snacks around. If not, I'll reach for the junk food whenever I'm hungry! I really like Kind Bars, pumpkin seeds, homemade energy bites or peanuts. This is so true! And that snack sounds really yummy. I'll have to try it! This is a great post. I love your reminder to find healthy snacks that we actually like. :) My favorite healthy snack is almonds and dried cherries. So important to remember to not try and choke down things you don't like. I love watermelon and seedy trail mixes. I just recently started eating healthier and portioning and I'm obsessed with plain greek yogurt, fresh fruit, and whole grain granola. Surprisingly, Aldi has great health options! I've already lost 5 lbs in two weeks because of their selections! I only discovered Aldi recently and have only been once, but my husband and I loved it! I really need to try pumpkin seeds for a snack - thanks for mentioning them! I've been trying to keep healthier snack options around as I've started to cut out sugar. I found some raspberry granola that I really like and often eat it with greek yogurt. I'm also a huge fan of hummus as a great source of protein or apples dipped in peanut butter. Mandy, I am right there with you! I love all of those snacks! Great job with eating healthy!